Welcome to La Boqueria, a sumptuous food market and a place that offers some of the best shopping in Barcelona, and one that needs little introduction to the world’s gastonomy fans. Born back in the 1200s as a ‘travelling market’, La Boqueria has had roots in Barcelona for a long time. While its original format has altered, a fundamental feature remains; the market is made up by generation after generation of family businesses, selling exquisite produce the way it has always been done. Situated on the vibrant and bustling Les Rambles in Barcelona, La Boqueria is ideally placed to attract huge numbers of local inhabitants along with the people just passing by. This is not, however, a part of Barcelona which you would want to simply ‘pass by’... Indeed, many visitors regard this market as one of the highlights of their trip. Just a few minutes inside will leave you wondering why a market like La Boqueria cannot be replicated in every major city across Europe. La Boqueria will capture your senses with its visual feast of colour, scents of decadent spices and the sounds of buzzing, energetic crowds. Allow your eyes to traverse the seemingly endless supplies of food on offer as you make your way through the various sections of produce, providing absolutely everything you could ever dream of packing into your pantry. It is true that many towns around the world founded themselves around such markets, but there are few better examples of this than Barcelona and La Boqueria. Originating as an open-air market inside the old city walls, food traders from nearby towns would come to sell their produce to the people of historic Barcelona. But along with the evolution of the city, La Boqueria evolved too, and not just in size. The range of wares on offer at the market soared with new voyages of discovery. Boat crews, who had sailed from the port of Barcelona, would later return home to the Catalan capital bearing previously unknown flavours of the New World. 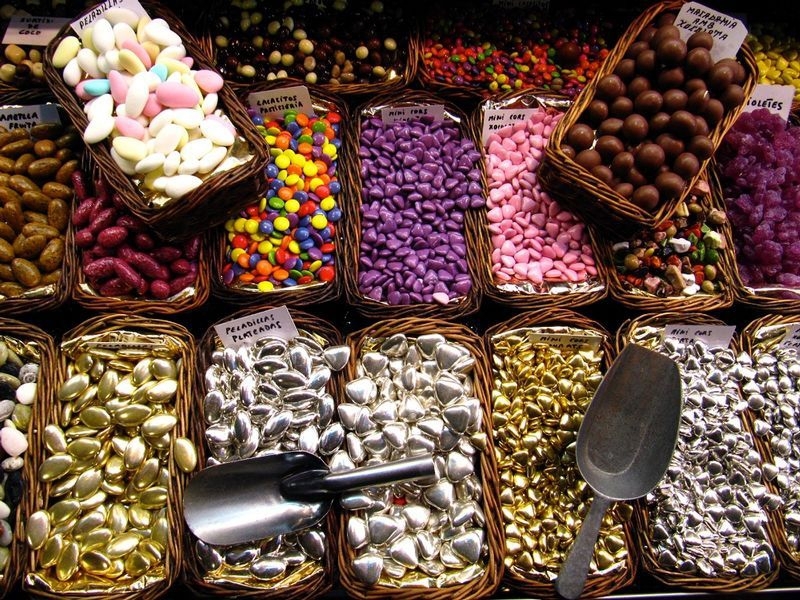 Only then was La Boqueria born into its current life as an expansive international food market. 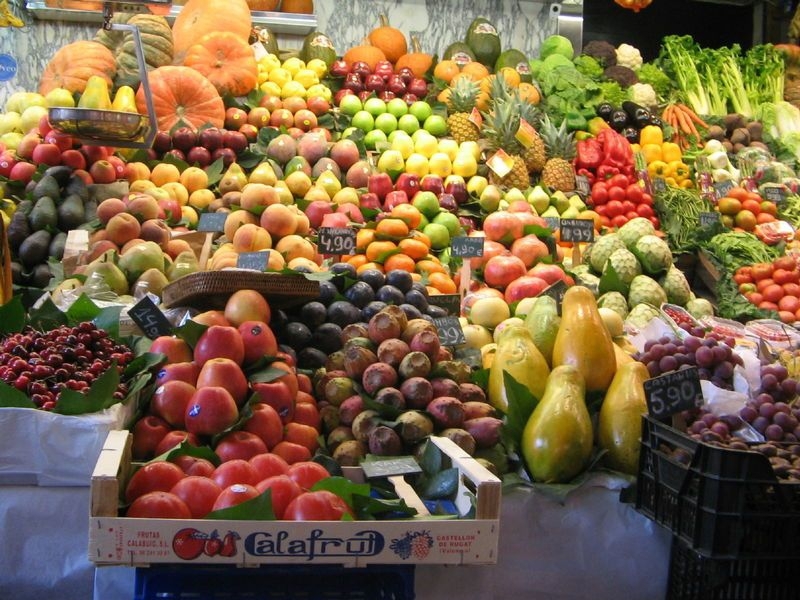 Since the turn of the 1900s, La Boqueria has become the most regarded market in Barcelona. Its structure, layout, diversity and atmosphere mean it is one of the best things to do for all tourists who visit Barcelona. Not only this, La Boqueria is so well regarded that early mornings at the market witness the arrival of the Chefs of Barcelona’s best restaurants, as they seek out the finest and rarest ingredients which go into creating the many wonderful culinary offerings around the city. With a characteristically Mediterranean vibe, Catalan recipes themselves come from a legacy of prolonged contact with people from all corners of the Mare Nostrum. Catalan chefs continue to experiment with twists on traditionally Mediterranean dishes, while refining their own individual regional specialties. You must seek out these Catalan and Spanish dishes during any trip to Barcelona in order to really get a taste for the region, and where better to start doing this than at La Boqueria, with its raw freshness, ready to intrigue and delight. There are, of course, some serious rivals contending for the title of Best Food Market In Europe. There is Borough Market in London, Mercato Coperto in Milan, Naschmarkt in Vienna and Les Halles in France to name but a few. But there is something intangible about La Boqueria in Barcelona which ignites the senses in a way unsurpassable by its contenders; the pure range and quality of its goods, the atmosphere of everyday life, and the excitement of tourists discovering something for the first time. All of this gives the entire place a really special buzz. In such a large market an entire stall can be dedicated to selling only one thing, and there is a certain sense of envy of the local Catalans who get to take advantage of La Boquería’s exemplary range of food produce every week. Fall in love with the fresh candies, warm baked breads, cheeses, meats, seafood, herbs, spices, fruits, vegetables and just about everything else you could think about placing on a plate! La Boqueria has it all, and a regular trip to the local supermarket is never going to feel quite the same again. It is best to visit La Boqueria in Barcelona early in the morning to avoid the majority of other tourists and thoroughly enjoy the market with ease. You will notice that a common feature of this market is the abundance of colourful fruit juice drinks. These come in so many flavours I lost count; however, they are extremely refreshing and great to accompany your wander around the market. Of course, as a tourist, you will be restricted in what you can purchase at La Boqueria, given the allowances for food produce on flights. However, if you are lucky enough to be staying in an Aparthotel, do not miss the opportunity to buy your dinner ingredients at the market! If all the food on offer has made you ravenous, the outer edges of La Boqueria are lined with a vast selection of café-style food stands and restaurants, where you can go up to the bar and order a meal. These dishes are created from scratch, using ingredients purchased from the stalls around the market! There is a rich and plentiful range of different cuisine on offer too, not just tapas but also, Seafood, Japanese, Italian, French, Mexican and more! To get the most out of it, take your time at La Boqueria in Barcelona. It is well worth feeling a little hungry here, as you are not going to have an experience quite like this one anywhere else in the city. What is most impressive is that all of the vendors are running a family business that has been around for many generations, encapsulating Barcelona’s city-wide fusion of old and new quite magnificently. 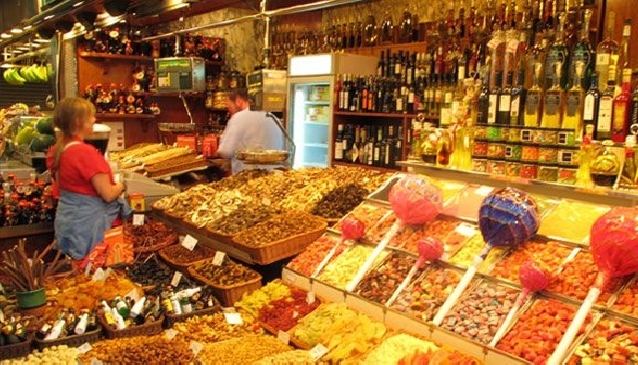 To get to La Boqueria head to the Metro station of Liceu (L3) on Les Rambles. The market is a two minute walk up the street on the left (towards Plaça Catalunya). Open Monday to Saturday 06:00 - 21:00 (Closed Sundays). 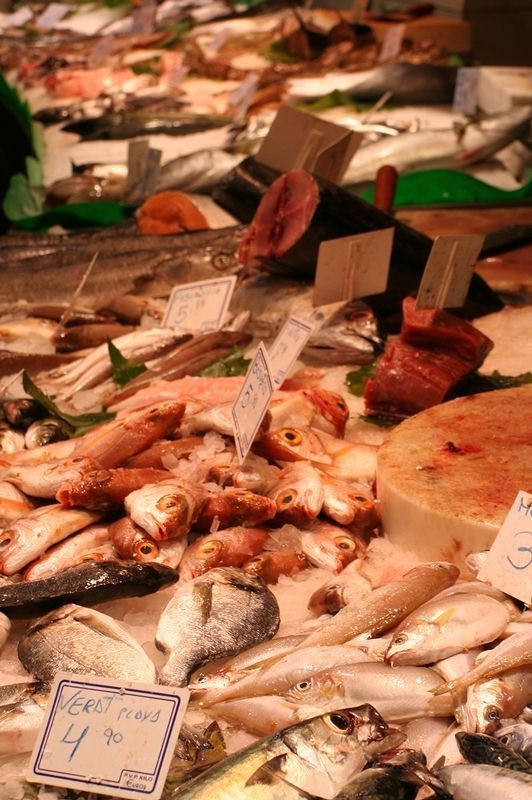 The official name is Mercat de Sant Josep but is known as La Boqueria.